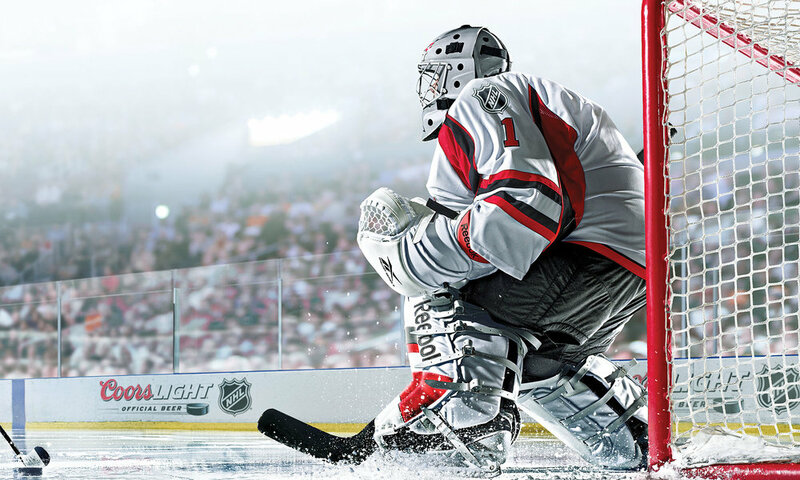 With photographer Tim Tadder and Schupp Agency, we retouched 14 images together to create this striking image for Coors Light and the NHL. Color grading was added to balance the lighting, add drama, and tie all of the elements into a cohesive whole. In addition, we retouched a series of separate images to be used in point-of-purchase, including goalies in seven different team jerseys.